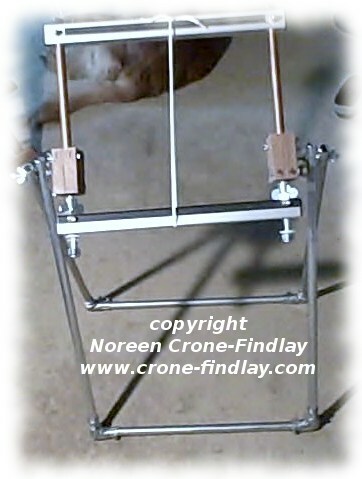 I am pleased as can be- I’ve just built myself a spiffy new folding stand for my Mirrix tapestry loom. For this version, I used conduit pipes and neat corner thingies to make it, and it has worked out a fair treat! I’ve signed up for Rebecca Mezoff’s online tapestry class LINK, and am looking forward to getting my Mirrix warped up and weaving on it.